Going by the statistics, Hunger and malnutrition accounts for more deaths than Malaria, AIDS and TB combined, and this is within the African continent alone. It’s true that we need to ensure that every life is worth fighting for, and one of the means to preserving life and ensuring sustained labour force for economic prosperity is by ensuring that we feed the world with the right food. In Africa, 70% of the population is directly dependant on farming for food and their entire livelihood is directly linked to their farms. What these means is that without productive farms, poverty and hunger will remain the biggest challenge. Having been brought up in a smallholder farming, I’ve experienced the first-hand effects of poor farm yields.The food we consume has always been a narrative around which all other financial priorities revolve, whether it’s health, access to medication, hygiene and sanitation, energy sources or even access to better education. The African culture places access to food as the basic, hence the main starting point to economic prosperity of any society. This begs the question, are we approaching African economic empowerment in the right manner? What should we really set as a priority to empower Africans more so the majority who stay in rural and marginalized areas? What comes first in the priority list? Is it agriculture, health and medication or access to energy? I believe that all are necessary, but agriculture is the core to stimulating economic development, because 70% of the African livelihoods are supported directly by farming and agriculture. With productive farmlands, it means people will have quality produce to service Agro-processing industries, it means there will be demand for more power and energy thus encouraging more innovation and investment in energy, it will mean that there will be more secondary industries for to service the enhanced value-chains hence more jobs. This means more income for the farmers to ensure that they afford better education and health. Poverty increases chances for poor sanitation, poor nutrition, ignorance and even reduces the human resilience to effects of global climate change, thus, there is need to first struggle to jump-start the journey out of poverty by supporting the very simple and basic source of economic development of the world’s poor, farming. It’s true that the majority of the world’s poor are farmers and these explains why solving the poverty problem shall begin with fixing the agricultural sector especially among the small scale farmers who according to the World Bank account for 70% of the world’s poor. I believe that the only way to pull the African continent out of the poverty that we experience right now is to support the very economic activity that has pulled them down due to old farming methods that cannot support the twenty first century food demand. For example, during the 1920’s when my grandmother was a teenager, she boasted having inherited vast furrow land that was fertile waiting to be ploughed and produce a heavy harvest. She relied on nature to ensure continuous soil fertility, and with all these land, the soils had the ability to regenerate before the land was tilled again. The weather was very reliable and predictable. Shifting cultivation ensured that the small population was fed well and even with enough to sell and afford day to day needs like good health. But these were almost 100 years ago! Now here we are when the very land that was furrow is home for 100 times more people. These have called for a better way to manage the farmlands to support a more sedentary and intensive kind of farming. This has meant that a single piece of land has to bear the pressure of constant tilling and cultivation, to produce even more food all year round. These has meant that soils have to be replenished by advanced technologies, constant and consistent use of fertilizers and even calling for farmers to learn better ways to manage and conserve their soil fertility. The shifting weather patterns have left farmers with no choice but to adopt climate smart initiatives which are only possible if farmers access knowledge, information and financial support. All this 21st century needs have resulted in more demands in the farm, the need for capital to service the cost of quality seeds, fertilizers, and labour for an intensive sedentary farming. In the current knowledge driven economy, rural farmers have to bear the high cost of access to information in order to be successful. Even as we work to ensure a healthy population and as we work towards advancing the human lifespan, we need to know that we also have to equally assure them of enough food. We have to ensure that our farmlands feed 2 billion more people, despite of underfeeding the 1 billion who are currently affected by malnutrition and hunger. We have to agree that the knowledge that fed the world population 100 years ago cannot feed the current population. With 60% of the world’s arable land being in Africa, there’s great need to ensure that Africa lives up to its responsibility of feeding the world. We have to change the fact that the continent with the largest arable land is home for the world’s most hungry people. We have to change the narrative that the biggest employer and source of livelihood to over 52% of the African population employs the world’s most poor people. The best way to solve poverty, hunger and health problems in Africa is by educating and supporting the small-holder farmers and equip them with the right tools, access to better technologies and financing to enable them afford these technologies. It includes providing an easy and effective means of training and dissemination of precise and actionable information to these farmers through technologies such as UjuziKilimo. 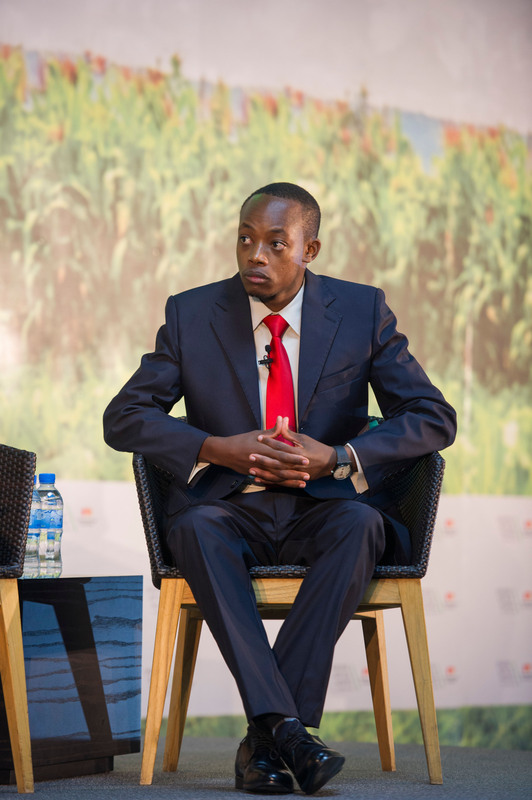 We need to encourage more innovation that blends with the culture and behaviours of farmers to ensure they have access to the right inputs for production and even ensure that we encourage a more sustainable way to conserve the farmlands as we move towards a more populated Africa and the world. ← IN THE NAME OF ISLAM?